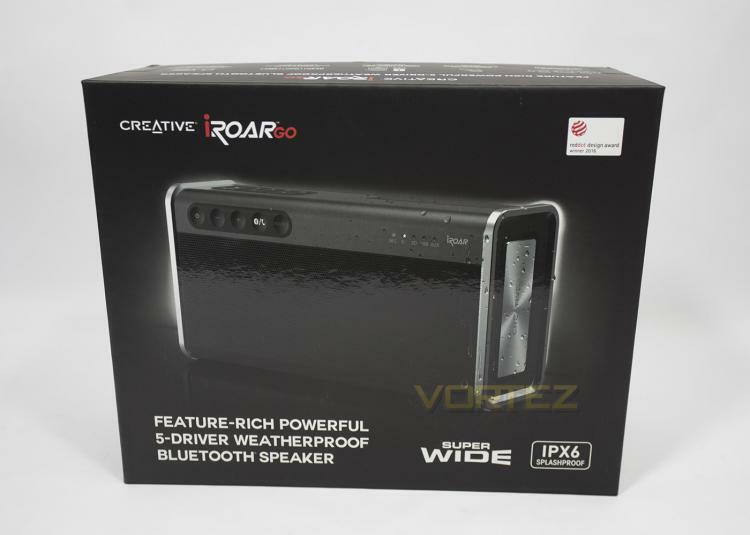 The packaging clearly shows off the main feature of the iRoar Go, that it is a weatherproof Bluetooth speaker. It also gives a special mention to the new super wide technology. At the back there is an overview of all the features with additional translations in French and German. 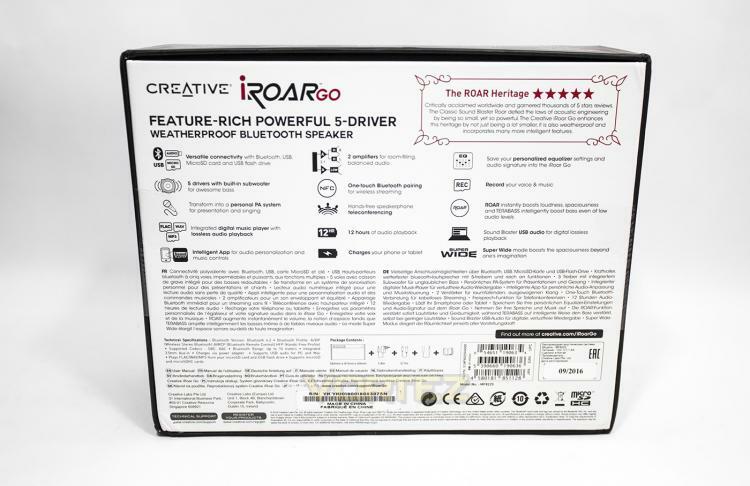 As with all the Roar series, the iRoar comes with a multi-power adaptor which is great because not only is it convenient for cross-border sales, but it means if you travel, you will likely have the adaptor you need across many parts of the world. 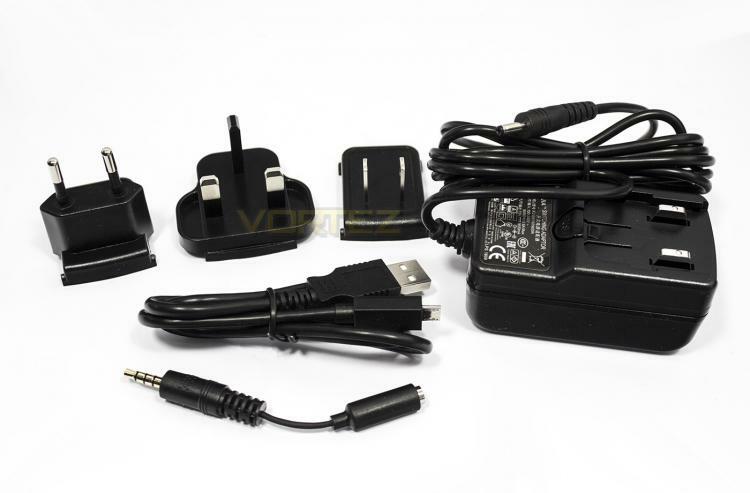 Also included is a microphone adaptor enabling the iRoar Go to be used as a portable PA device, or for singing, as well as a 1.8m USB-microUSB cable. Again it is a shame that there is no carry case included, even a simple nylon bag would be appreciated. 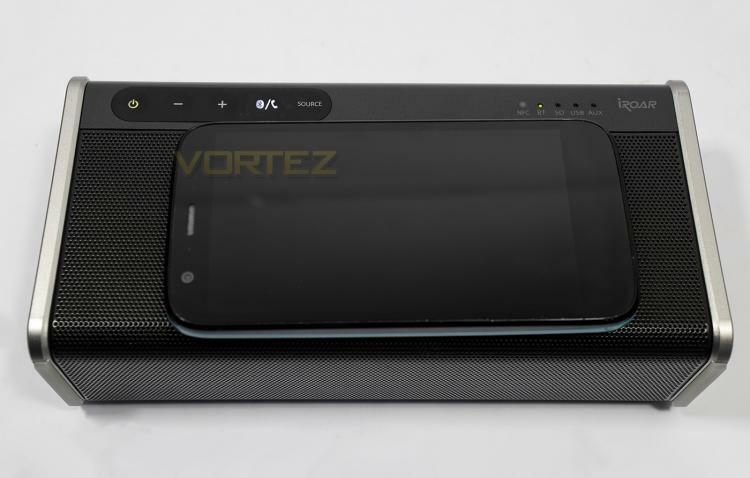 Here you can get a better visual idea of the relative size of the iRoar Go, which is around 25% smaller than the iRoar by volume. 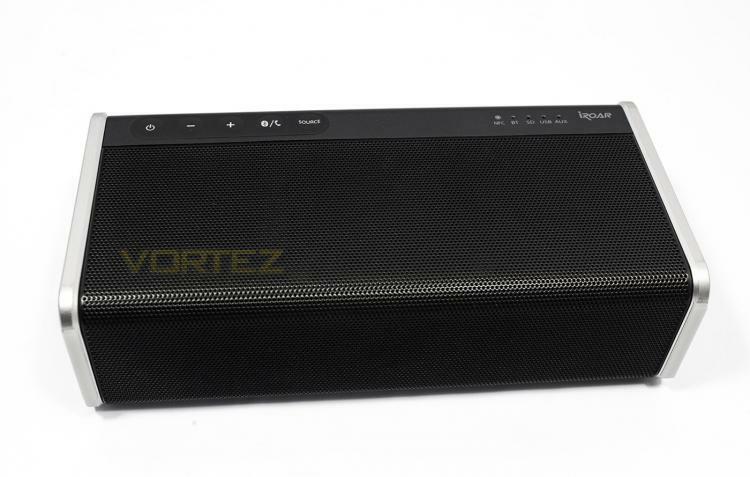 Its 54 x 192 x 97 (mm) dimensions makes it approximately the size of a lady's large purse.